East from Owens Peak along it's east ridge. 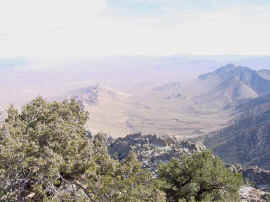 Grapevine canyon is to the left but does not provide access due to private property. 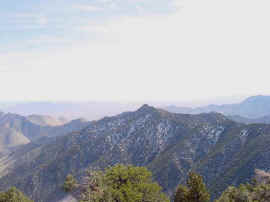 Short Canyon is seen in the middle right in line with the high point of the ridge and does have a road and trailhead providing access to the area. "Domelands" by Moser and Vernon devotes 50 pages to describing rockclimbing routes on both the north(shaded) and south sides of this ridge. 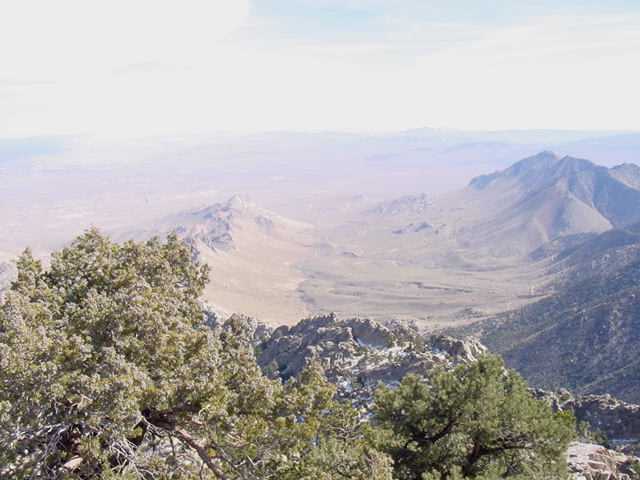 "Exploring the Southern Sierra: East Side" by Jenkins and Jenkins, Trip #50 "Owens Peak Climb from Indian Wells Canyon", is the guidebook that got us into the area and to the summit of Owens Peak. East to Indian Wells Canyon with most of the Owens Peak east ridge obscured by the bush on the left. We were able to drive to the beginning of the green vegetation in the lower right, with 4wd. From there it took about 3.5 hours of hiking to gain the summit and about 2 hours to get back to the truck. Late February was a perfect time of year for the hike. 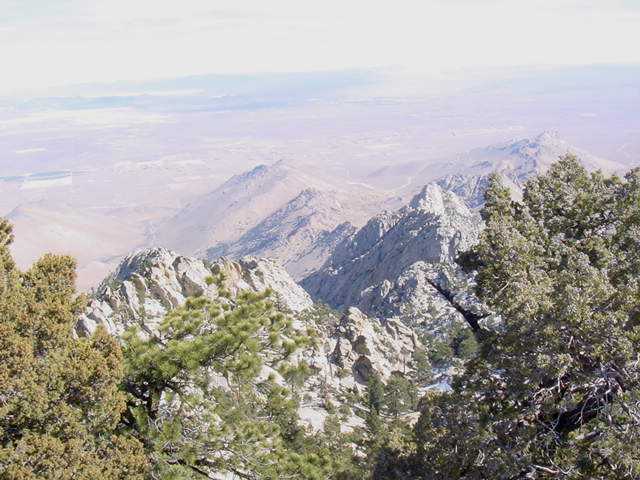 Indian Wells Canyon is accessed by going to the junction of #14 and #395. North of the junction are two restaurants on the west side of #395. The northernmost restaurant is Indian Wells Restaurant and the newly constructed Indian Wells Brewery. 100' north of their parking lot is a dirt road heading west and that is the road into Indian Wells Canyon. The north face of Mt. Jenkins, named after James Jenkins, the son of J. C. Jenkins and Ruby Jenkins. James was fatally struck by an elderly driver with diminished abilities. 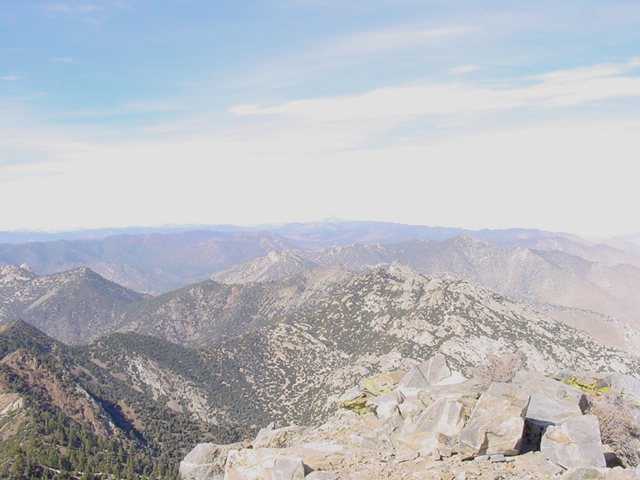 West to Isabella Lake, a small portion of which is visible in the upper left. 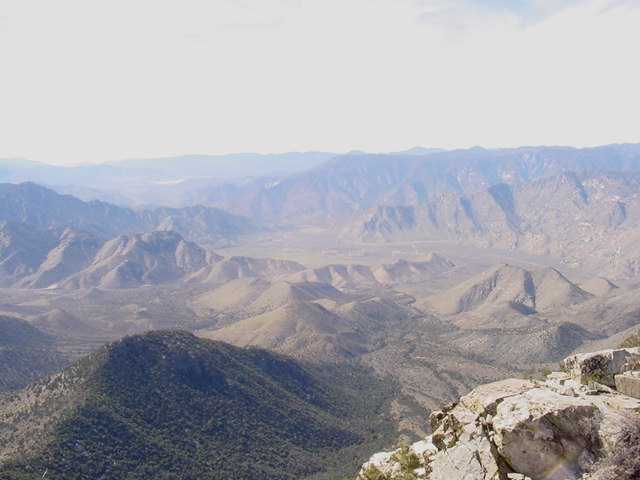 North from Owens peak to Olancha Peak, Mt. Whitney(55 miles), the Kings-Kern Divide, and the Great Western Divide none of which shows up in this photo but is visible to the eye.